The Redesigned Rio has all the bells and whistles, safety features, and provides a comfortable and fuel efficient ride. Apple CarPlay, Android Auto, and the UVO systems all keep you connected with the Rio. The smart key, push to start system will keep you on the move and saving time. The all new design seats 5 passengers and comes with a heated steering wheel as well as heated front seats to maximize comfort. Electronic stability control, Vehicle stability control, Hill assist, and Automated braking are all systems that have been integrated into not only maximizing the driving experience but make it the safest driving experience. All Rio models are also proud to boast an average 8.5 city and 6.4 highway litre to 100km ratio or better. 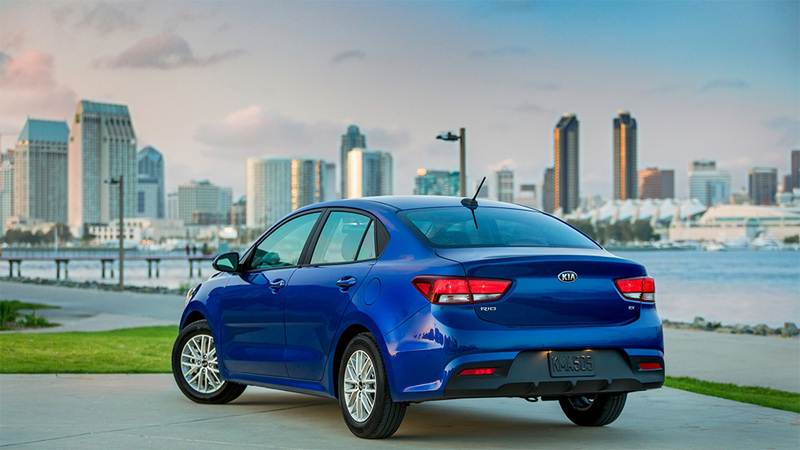 Fuel efficiency and a smooth driving experience is the Rio's game. Book an appointment today at Orillia Kia!